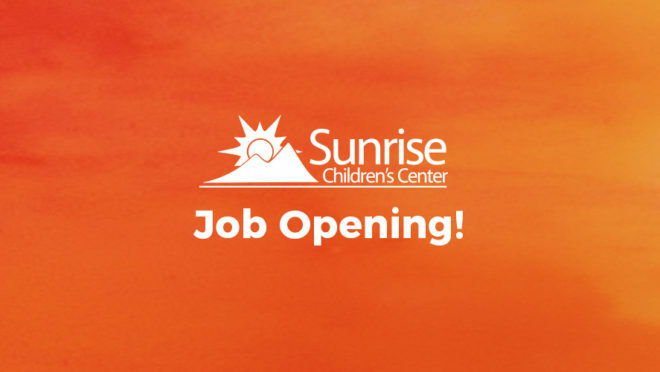 Sunrise Children’s Center is a leader in early childhood education, “the best keep secret in NH.” We encourage curiosity and confidence through intentional, hands-on learning experiences that seek to develop responsible, productive citizens and life-long learners. In our classrooms, we bring learning to life with a passionate team of educators who strive to create a world of learning, joy and adventure for children ages 6 weeks to 10 years of age. Our teachers bring warmth, patience, experience and a level of professionalism to our classrooms every day; encouraging children to learn and grow at their developmental level. We inspire our children to explore and develop their curiosity through our intentional play-based curriculum and parent partnerships. Our team is committed to student success in an enriching environment built on meaningful relationships with our children, families and team of educators. Assist and lead in the implementation of play-based curriculum in a way that is consistent with the unique needs of each child. Support our center’s success by partnering with center staff and leadership to achieve goals around enrollment, accreditation and engagement. Ability to build relationships with families and coworkers and create a dynamic environment where play and discovery go hand-in-hand. Upon 18 years of age must complete and comply with NH CCLU requirements for background checks and employment eligibility card. Minimum of 18 Early Childhood credits with 3 credits in Child Growth & Development. Minimum of 100 hours of supervised experience and completion of a 2-year vocational/certificate child care course.